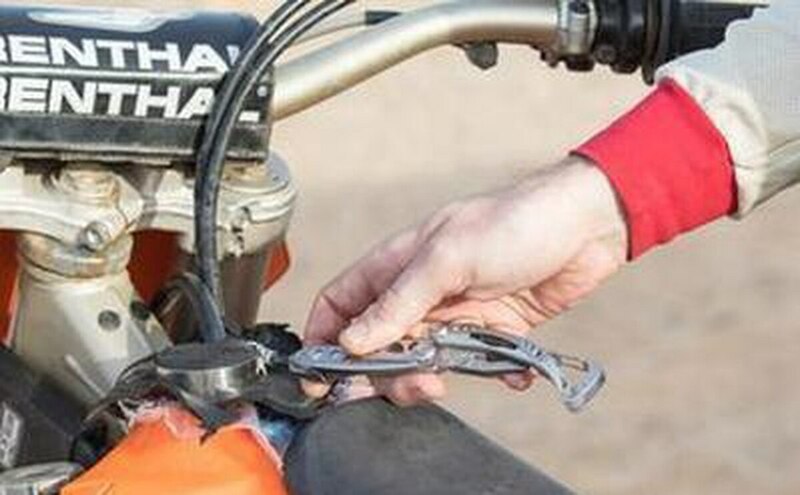 Whether you ride a new bike or an old one, you're likely to need some simple tools. 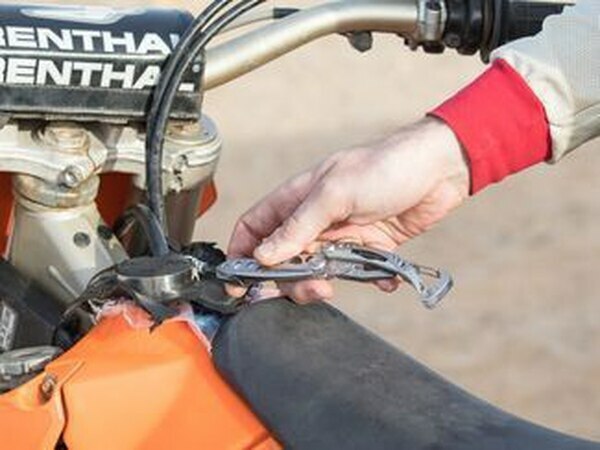 From basic jobs like using a wrench or pliers to adjust your mirror arm, to something more involved like rigging up a makeshift gas cap after losing yours, keeping some tools with you is always a good idea. Over the last couple years, we've reviewed several tools. Some of them have stood the test of time and continue to be carried daily, while others have found a permanent home in a junk drawer. The easier the tools are to carry, the more likely you are to have them on you when you need them. The Leatherman Skeletool is more compact, lighter and easier to carry than most Leatherman multitools, but still boasts a wide variety of tools to suit a huge range of functions. A pocket clip and carabiner make it easy to keep on your body or clipped onto a bag so you'll never find yourself without the tool when you need it. I'm like a moth to the flame when it comes to multitools and everyday carry, or EDC, gear. My girlfriend used to think it was hilarious to call me Inspector Gadget; now she just hums the theme song whenever I whip out a pen stored in the back of my phone case or an Allen key from my key chain. I've tried all sorts of these fancy things, and to put it simply, the Victorinox Swisstool Spirit X is the best we've seen. Having used similar tools from other brands, the first thing I noticed on the Victorinox was how smooth all of the actions were. There was no "squeeze point," like many of the other brands had, where the tool would be hard to open or close at a certain position. 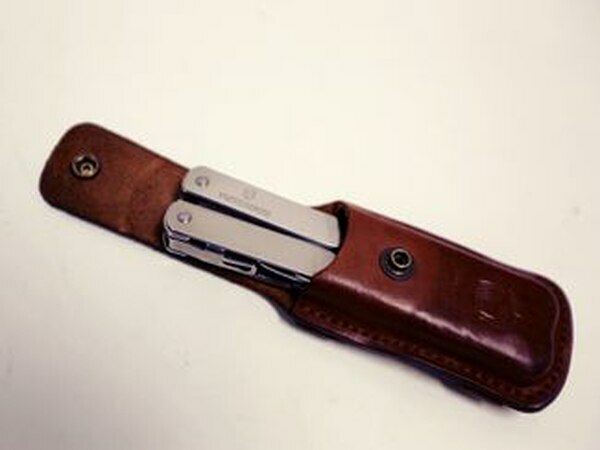 When you have a Leatherman open, it'll sort of lock itself in the open position with friction and take a good amount of force to close; it's rough and inconsistent. It's like cutting with a dull knife. The smooth action on the pliers on this tool is reliable and much easier to use. Do more. Carry less. Ringtool was conceived as an ultralight solution for cyclist commuters, but its applications extend far beyond the biking community. A super-compact alternative to lugging around a full-size toolkit, Ringtool lives on any standard key ring, always on-hand for minor repairs or in the event of an emergency. Everyday carry tools have been gaining an incredible amount of popularity in the last few years as items that take up a minimal amount of room but offer a wide variety of functions. 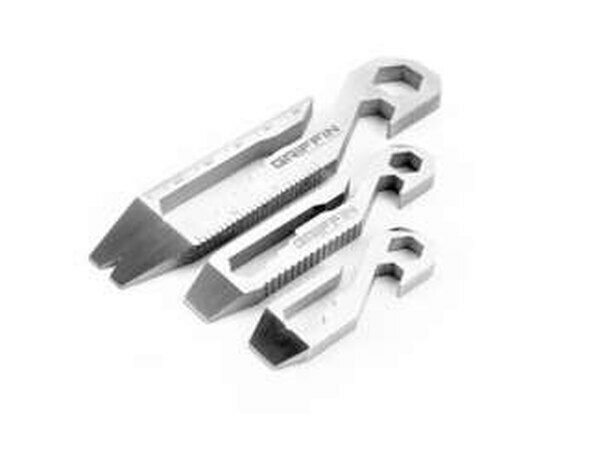 We have featured a variety of them on the site, but none like the three sizes offered by Griffin Pocket Tool. You will be hard-pressed to find a rider with an older bike whose tool roll hasn't been meticulously refined. Unnecessary items removed, multifunctional pieces added to save room, flimsy tools replaced with sturdier ones. It is here that the Mininch Tool Pen Mini finds its home. 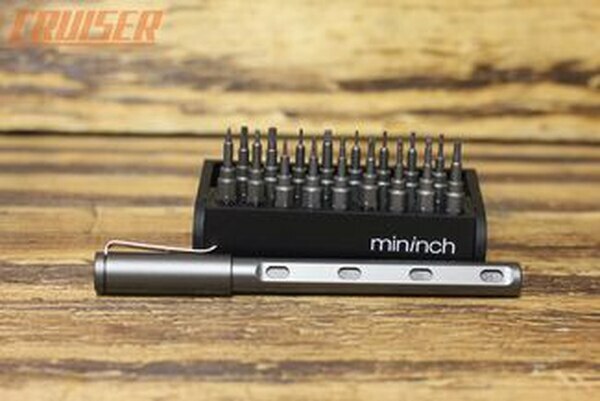 The Mininch Pen Tool Mini is as precision hand tool that fits in your pocket and feels/looks like a normal pen. 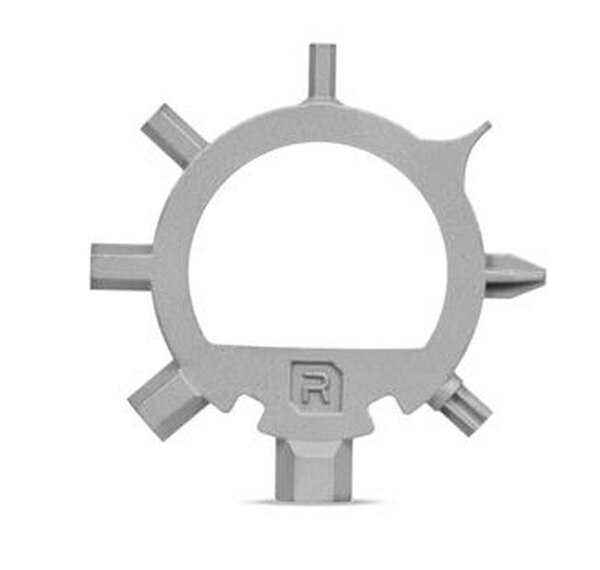 Machined out of a single piece of metal, the body of the pen tool is strong and sturdy feeling, the magnets in the bits give you a feel of the tight connections and the small parts inside don't shake or rattle. This piece originally appeared at BaggersMag.com.